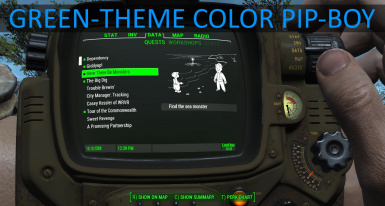 A collection of gameplay, visual, and convenience enhancements with optional Green theme for Color Pip-Boy. Initially a collection of personal visual tweaks, Radrose Gameplay Enhancement has expanded to include many visual and gameplay improvements, some inspired by but not copied from other mods. 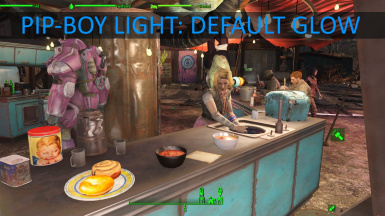 Protected Deezer, Pip-Boy Flashlight, expanded NPC sandboxing and NPC politeness, increased settlement yields, reduced Radiant quests, etc., are all features initially inspired by various single-purpose mods. 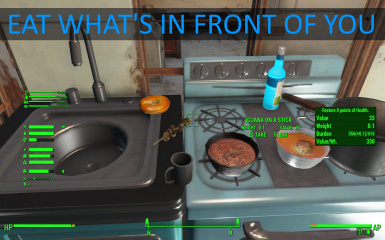 Despite similarities in function, no scripts or assets were used from other mods, and all visual assets are from public domain sources or retrieved Commons License. 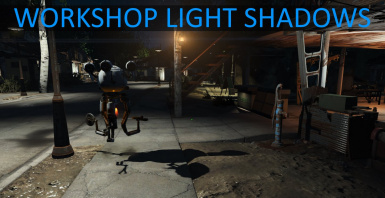 Enhanced lighting, shadows, and other visual effects! 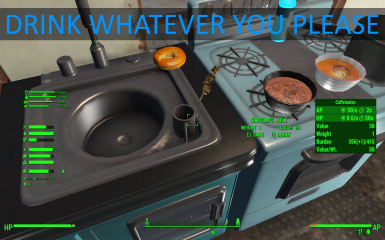 Add direct interaction with food, drinks, and other items! Note: Items marked with a "*" may be changed by editing the INI file in the Data folder. 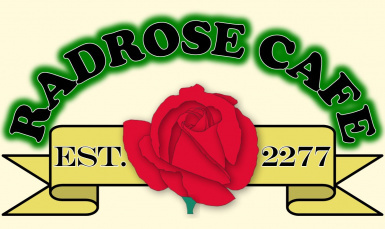 - Improved item sorting and distinct icons with Radrose Usability Enhancements. 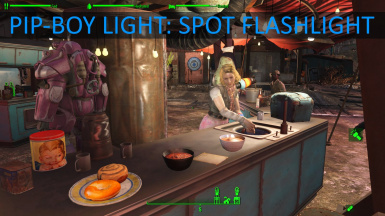 - The Pip-Boy flashlight is a post-processed photo of a nuclear fireball from the Tumbler-Snapper test series. Original was taken with the Rapatronic high-speed camera. 2. Click "Download with Manager"
Base Game, DLC, Mods, RGE. 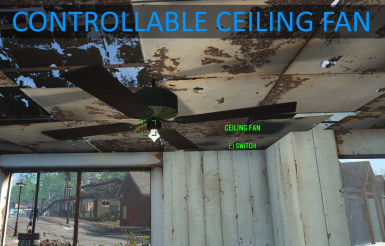 Most visual mods are compatible, except when same items are modified. 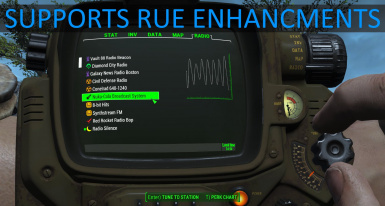 RGE modifies Pip-Boy and Power Armor lights. 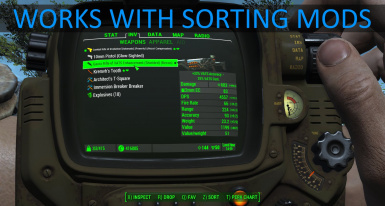 → Load RGE after other Pip-Boy or Power Armor mods. 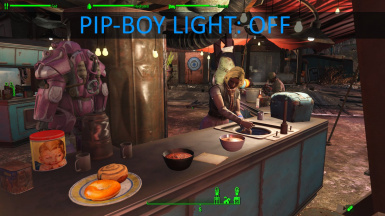 → Non-lighting changes to Pip-Boy or Power Armor should be unaffected. 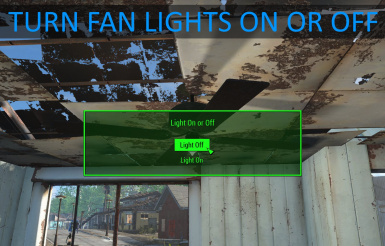 Mods that change Workshop lighting items may conflict. 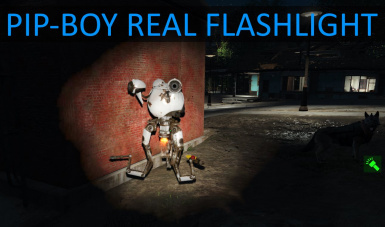 There will be no issue loading other mods and no crashes caused. 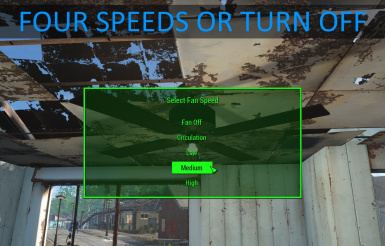 Effects changed both by the other mod and RGE will apply only the changes from the last mod loaded. Enhanced Lights and FX Anamorfus 0.4 Makes similar, but different changes to some lighting objects. 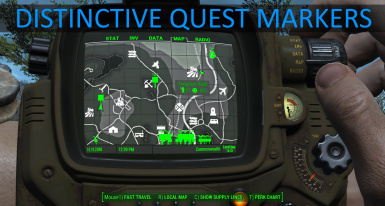 → Load RGE after these mods, or place them after RGE to use their settings instead. 0.9 to 1.0: Some lighting and shadow settings are different, and corpse collision and terminal speed changes added. 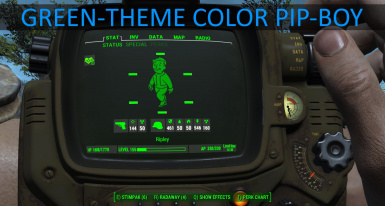 1.3 to 1.3.1: Separate install option for Green Pip-Boy only. 1.3.1 to 1.3.2: Upgrades automatically.